Even today, people settle where they believe they would thrive. 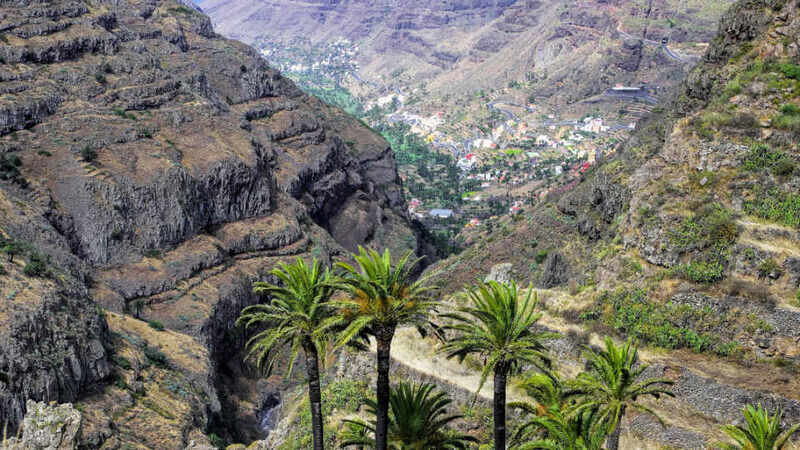 The ancient populace of La Gomera was the same, but with stricter requirements. The soil must be fertile for their crops; water must be clean and near. And, the weather, the weather must be lovely. All those and more they found in Chipude, their very first home on the island. The native inhabitants of the Canary Islands were collectively known as the Guanches. 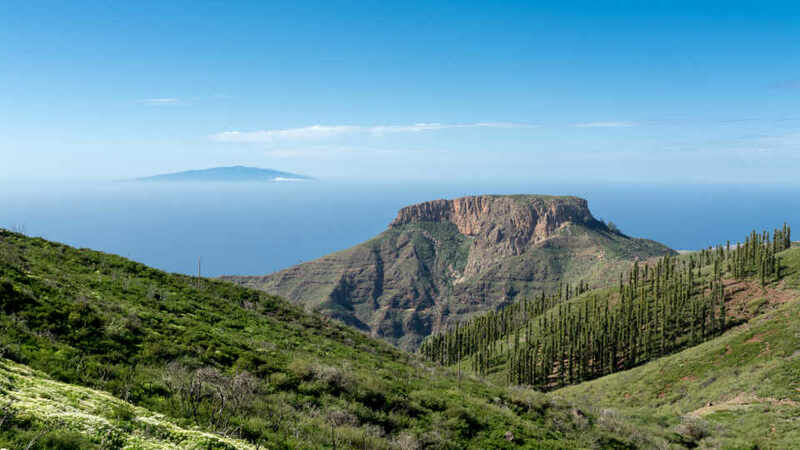 They, too, once roamed the island of La Gomera, the second smallest in the archipelago. In their search for the best place to call home, they found Chipude, and it had everything they need, and then, more. Before the Castillans, the Portuguese crown tried to annex the Canaries as well. It is an archipelago rich in natural resources, what powerful kingdom can resist? All the islands in the Atlantic, near continental Africa, were already theirs. And, in the 1420s, it was time to claim some more. The Portuguese started their campaign strong. It may even seem they were gaining the upper hand after they had killed the brother of Amaluige, the island king. They moved farther inland and, eventually, got to the Argoday, which is now called La Fortaleza. It is still unclear if they retreated to the high plateau by force or if they were outwitted to do so. Nevertheless, that caused their downfall. A couple of days proved to be enough to have the conquistadors surrender. Without any food and water on top of a flat mountain, they had no choice. Although foes that caused bloodshed, the Gomeran king forgave them. They even had a pact that allowed the Portuguese to stay on the island as long as they never tried to conquer it again. Peace didn’t last long though as the Castilians eventually annexed the whole Canary Islands, and then the Spaniards. Still, centuries passed, and Chipude remained the most populated village, not until 200 years ago that is. Today, it no longer is the bustling town that it once was. Nonetheless, it is the starting point for the La Fortaleza hikes and hub for its hikers. 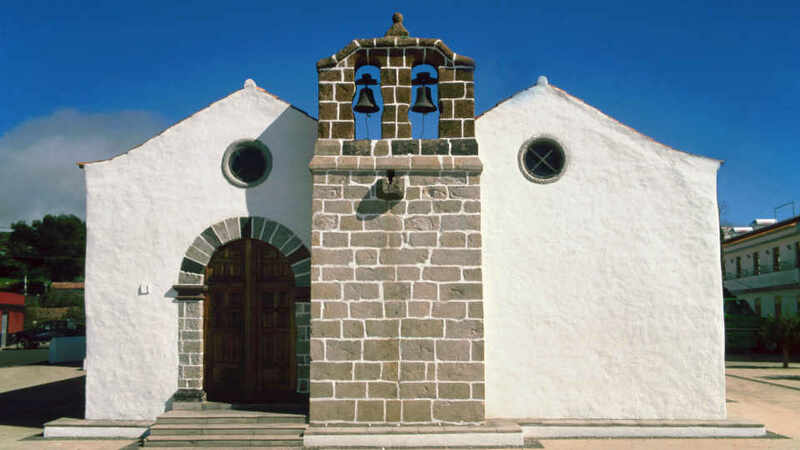 Even though a lot has changed, the Portuguese influence is still evident in La Gomera, most especially in the north. From Catholicism to architecture and surnames, they made their mark in ‘friendly’ terms. The hamlet of Chipude is quiet for a Canary tourist spot. There are no hordes of tourists or busy streets of clubs and restaurants. Instead, clustered together are a few groups of hikers enjoying a drink or a meal. Some are beaming with excitement, while the others with satisfaction. Visitors who’ve been in the town wouldn’t claim it’s the very the best of the Canaries. What they don’t fail to do, though, is sing praises on how its two facets perfectly complement each other. Together, they give every guest an exceptional and unforgettable experience. The village of Chipude is lively in a very subtle way. Some call it a sleepy town, but what it is, is a tranquil hamlet of beautiful views and warm locals. It has a lovely mountainous landscape sprinkled with mostly whitewashed abodes. It also has some areas where visitors can admire ocean vistas. As a starting point of the La Fortaleza hike, people also often walk around to prep and warm up. It’s also a great chance to fuel up with a drink or a meal at the high street or get to know the locals and other hikers. After an excursion to the famous mountain that looks like it can be a plane runway, they can relax here, too. They can enjoy a relaxed chat about the experience over a bottle of beer or a glass of local wine. Built in 1540, the Iglesia Virgen de la Candelaria is a must-visit when in the town center. While most double-nave churches have two doors, this has but one. Asymmetrical as it may look, it gives the shrine a somewhat unique appearance. Held every 15th of August is the annual fiesta for Chipude’s patron saint. And, of course, at the center of the event is the church named after its holiness. It is a significant Gomeran festivity and a major island attraction. All eyes are on the little town as they dance and sing along exuberant music all day long. Pottery is an art. And, in Chipude where it’s still done without the use of wheels or molds, it is also their heritage. Female craftsmen showcase manual pottery-making in the Interpretation Center of Las Loceras. There’s also a workshop where guests can learn ancient pottery traditions and techniques. Furthermore, the guided tour goes through an exhibit of old carvings as well. The table-top mountain that we now call La Fortaleza has a long, rich history with the natives. It goes way before the battle and tactical win against the Portuguese. They called the majestic beauty “Argoday” which means “powerful” in ancient Guanche language. And, oh, what a fitting name it is. Argoday is a massive landform with a flat roof that towers above everything in the expanse. It is striking even from miles away and gets more commanding as spectators get close. This is precisely why people have never been satisfied with just marveling at it from its foot. From the ancient times and up to this very day, they yearn to experience it. They climb it to stand on top of it, to know what it’s like to be something great and enormous. 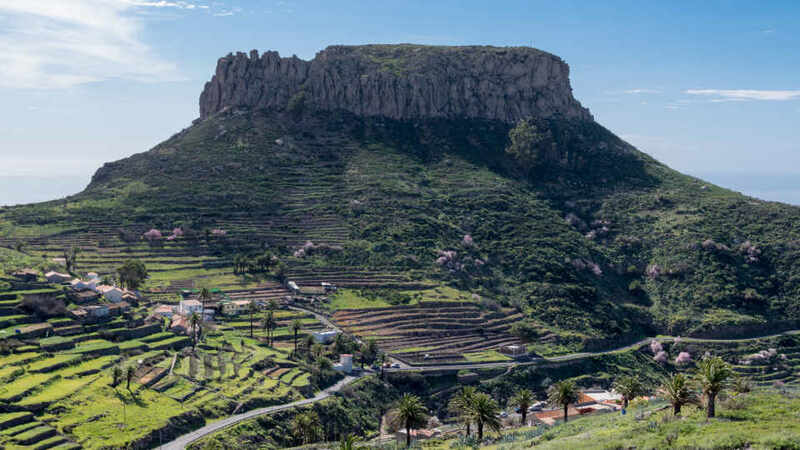 The most important archaeological sites in the island were found on this plateau. Remnants of huts, shelters, circular stone structures, and sacrificial altars are still there. If anything, it proves that the even and broad summit was more than a lookout point for the early Gomerans. Today, tourists from the world over visit this behemoth landmark. They hike through a narrow path between rocks to reach its 1241-meter-high peak. It could be to observe the historical wealth on it, or maybe to admire the breathtaking panoramas. Whatever the reason may be, they all cherish the La Fortaleza experience. From San Sebastián de La Gomera, bus line 1 can take tourists to Chipude. It takes around 20 to 25 minutes, and its final destination is Valle Gran Rey. On weekdays, the bus departs the capital at 10.30, 12:00, 15.30, 18.30, and 20.30. On Saturdays, it leaves at 10.30, 12.00, 15.30, 18.30, and 21.30. And, on Sundays and holidays – 10.30 and 21.45. When staying for the night in Chipude, tourists have but two options – a small hotel or a holiday home. The choices are limited, but they have all the essentials and are also in excellent locations. Hotel-Bar Sonia, the town’s lone hotel, is ready to serve 24/7. It’s unlike the fancy hotels scattered around the Canaries, but it has the necessities and a lot of warmth. They only offer clean rooms, and each has a terrace. The kitchen is also set to whip up tasty and irresistible Canarian dishes anytime, any day. Very near the town center is the adults-only Casa Rural Adoracion. This air-conditioned holiday home has a fully-equipped kitchen and free WiFi. Guests can also relax in front of the flat-screen satellite TVs on each floor. If tourists want comfort and space, this is the place to rent. Visitors of Chipude never get lost looking for this hamlet’s restaurants and bars. They are all practically in the town center, also known as the plaza. Find the Iglesia Virgen de la Candelaria, and they should just be a few steps away. Although only a handful, they all serve superb traditional Canarian plates. Diners especially love to pair their orders with a beer or a local wine. Who wouldn’t? The dining options in the village are Bar Los Camioneros, Bar La Candelaria, Restaurante Navarro, and Restaurante Sonia. Exploring Chipude takes one to the highest high and the lowest low, both in a very good way. When walking around the mountain village, it’s hard not to be humbled. Everything is simple and laid-back. The place doesn’t have so much, but the locals have more than enough, and they seem very happy. There are good food and drinks. The beautiful sights are endless. And, the smiles and laughter, they never end. At the same time, standing on top of La Fortaleza gives visitors the immense feeling of strength. It feels like everything is possible, that anything can be done. This is probably what conquerors felt while on their horses as they survey the territory from high grounds. Experts say its ancient name was Argoday or ‘powerful.’ One can only wonder if the natives were referring to the mountain or the feeling they get when they are here. Are there any other places that can give those emotions? Maybe there are a few. It’s also possible that only Chipude can. Well, one must visit to found out.